In November of 1980 CV Productions was ordered by The Pennsylvania State Athletic Commission to cancel their upcoming show in Greensburg, PA. They were given an ultimatum; if they proceeded, the Pennsylvania State Police would intervene and shut the event down. CV Productions ignored the warning citing that the Athletic Commission had no proven jurisdiction over Tough Guy competitions. Under the Pennsylvania Athletic Code Act of August 31, 1955 (P.L.531, No.131), the state oversaw boxing and professional wrestling, but mixed martial arts was a new sport. On November 6th 1980 the Greensburg show went on, only to open the door for further scrutiny by the government. In a bizarre turn of events, Ronald Miller, 23 died after entering a Toughman boxing competition in Johnstown, PA. This event had no association whatsoever with CV Productions. Unfortunately the Pennsylvania Legislature used this incident as an excuse to investigate all fighting events in the state and ultimately outlawed mixed martial arts. Pressure from the State Athletic Commission prompted a congressional hearing ultimately leading to the passage of SENATE BILL No. 632 Session of 1983, effectively banning all mma-style events in Pennsylvania, specifically naming CV Production’s Battle of the Brawlers and Tough Guy contests. After careful legal consideration Viola and Caliguri were advised to stop promoting events in 1981. 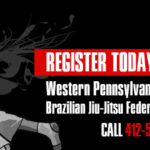 Effective February 27, 2009, Pennsylvania legalized Mixed Martial Arts. 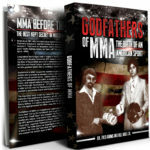 This marked the end of a thirty year long struggle between mixed martial arts and the Pennsylvania State Athletic Commission.